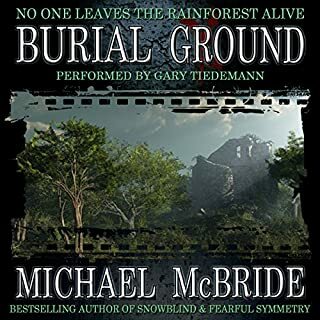 From Michael McBride, best-selling author of Burial Ground and Snowblind, comes Sunblind, a thrilling new novel of terror and action that'll take you on an unforgettable journey from the desperate streets of Mexico, through the deadliest corridor in the world to a place where mankind was never meant to tread. I went through a number of emotions following this group of humans, some desperate for a better life, some desperate to reach or find loved ones, and some on a selfish journey for themselves. But the absolute desperation of human survival in the dry-death-incurring march through the desert turned from the idea of a better life to praying life end quickly. 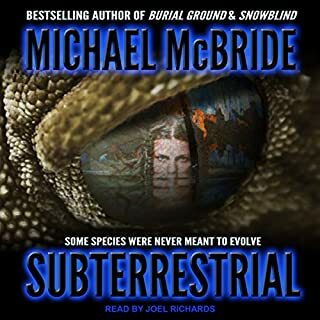 I could never begin to imagine how horrible it is to travel on foot with water and food rations that would keep you for a day or two in the sweltering heat and sun so hot it blisters your skin within hours but Mr. McBride did an excellent job of creating that hellish environment and capturing what a human would have to do to try and survive even when there seems to be no point in prolonging life. This tale was beautifully written and creepy, and frightening, and heartbreaking. I was disappointed in the epilogue because I felt more should have been done to rectify the problem and I mean a joint Army, Special Forces, etc. And I won't lie, I was hoping there'd be a book two for something like that but C'est la vie! 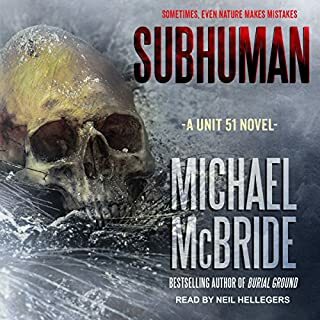 A great story written WITHOUT romance nor the need to add sexual tension between main characters, and honestly that made this book a 5 star audio for me! 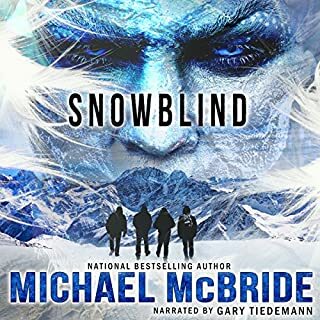 I LOVED Mr. McBride's Snowblind (both 1 & 2) and am highly anticipating book 3. 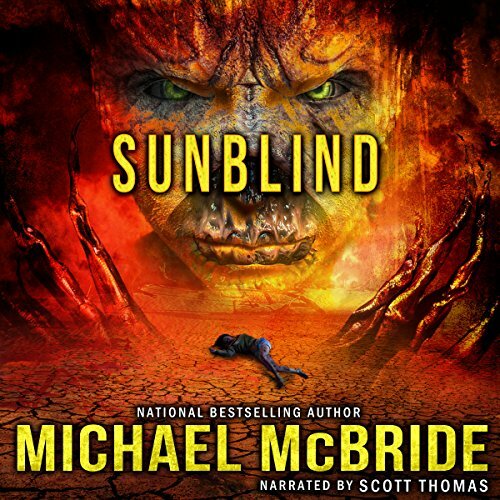 However , the premise behind Sunblind is much like Snowblind with the exception of the setting. The setting works out quite well in Snowblind and leads to a sense of credibility that is impossible to buy in Sunblind. So I personally found Sunblind to be a poor imitation in a unbelievable setting. 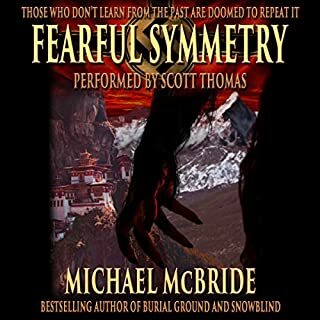 If you want a great scary book by Mr. McBride I highly recommend skipping this one and purchasing Snowblind instead. You won't regret it. Outstanding, spellbinding, couldn't put it down. If you could sum up Sunblind in three words, what would they be? Magnificent, heartbreaking, spellbinding, edge of the seat suspenseful. Can't do it in three words. I loved this whole book. It's filled with the reality of the struggle many endure trying to live a life most of us will never have to face. This book is a study of the strength of the human spirit. It's also nasty, gritty and ugly. All that and a bit of cryptozoology. 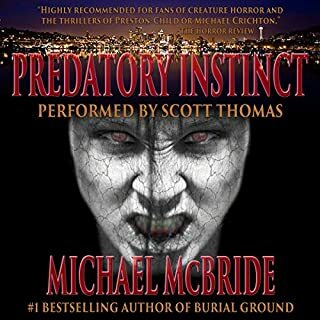 went into this book with little expectations.. just wanting a good scare. Turned out that my expectations were exceeded. well read,well fleshed out characters and suspenseful. If you are a fan of Lincoln child,give this a go you won't be disappointed.